You don't seriously think anyone will believe that the King has chosen you as his closest adviser out of everyone in all of the Seven Kingdoms, do you? 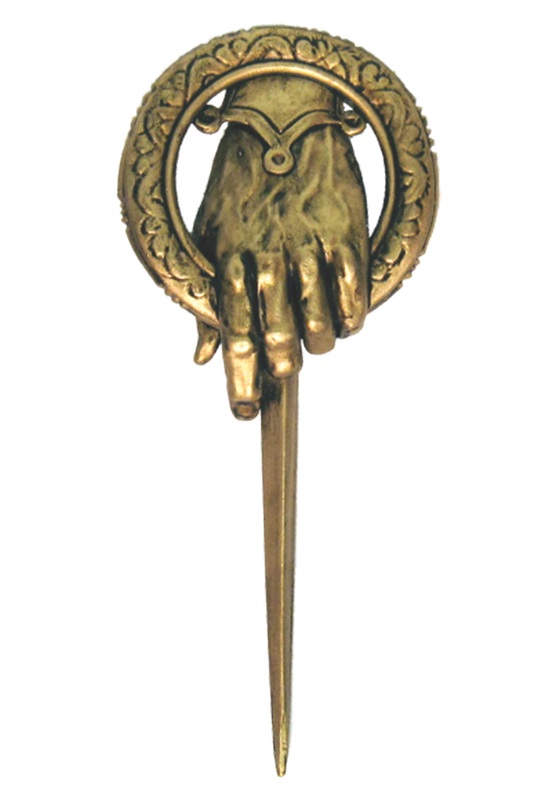 Well, you'd better be packing some proof that the king sent you to do his bidding, like this Hand of the King Pin. It's the sort of accessory that lets people know you are, indeed, acting on behalf of the King. The people of Westeros have no choice but to respect your power while you have it neatly pinned to your chest.